Head over to Amazon to score the Thomas and Friends Super Station Railway Train Set for just $74 shipped (Retail $99.99)! 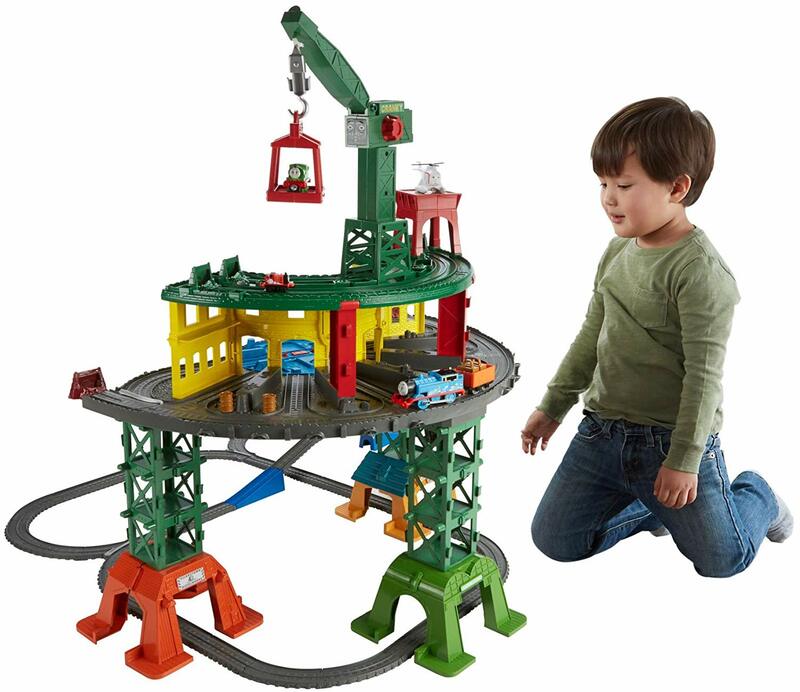 Your kiddo will love playing out their favorite Thomas adventures with this HUGE Super Station Railway Train Set! Even sweeter, it works with pretty much any Thomas engine including Thomas and Friends Adventures, TrackMaster, MINIS and Wooden Railway engines so if you've got other Thomas sets, there's no need to buy additional engines. Plus, you can build the track into multiple configurations to fit the space of any home. If you have it set up in the full track, there is over 35 feet of track that will hold over 100 engines and features iconic locations including Tidmouth Sheds, Brendam Docks, Knapford Station, the Sodor Steamworks, the Dieselworks, Blue Mountain Quarry and the SSRC with Harold's helipad.